Discus Fish For Sale - Shipped to Your Door! Caring for discus fish while on vacation. The Tetra are small fish that mainly originate from around the Amazon river. It’s important to keep your fish in a clean environment that keeps them healthy and happy. Below are just a few tips on how to achieve this. 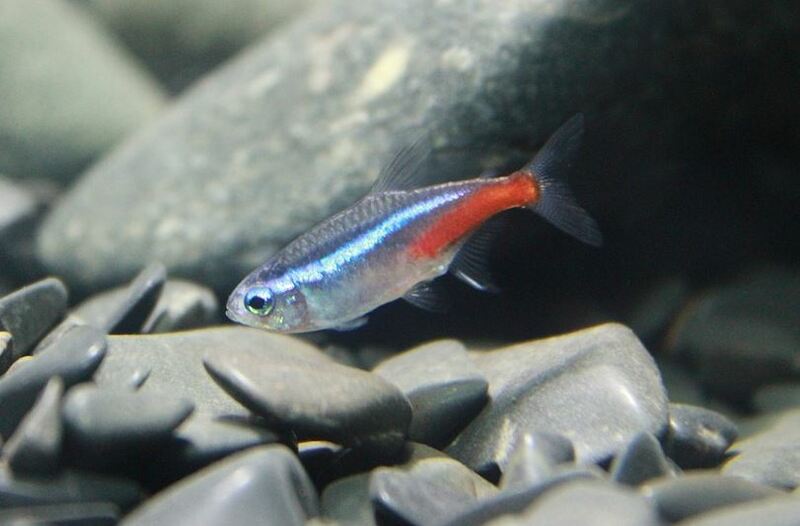 •	The Neon Tetra is a good fish for any beginner and is cheaper than the cardinal tetra. It can live alone in a 5-gallon tank as it is not that huge. This makes it more convenient as it becomes easy to manage. The bare minimum should be 10 gallons if you would wish to go for at least 8 to 10 fish. They are not really great when it comes to schooling and thus they are kept in low numbers. •	A well-planted tank is preferred as it makes the environment more natural. Live plants also help in the nitrogen cycle and this helps to filter out the toxic ammonia from the water making it conducive for the fish. •	On the negative side, these fish are not that hardy meaning they do not deal well with new environments. It is, therefore, necessary to cycle the water you use from already established aquariums so that the fish can be able to cope. •	The pH for the fish’s water should be maintained between 5 to 7.5. The temperature of the water should also be checked regularly and should range from 69 to 79 degrees Fahrenheit. The water hardness should be maintained at around 1 -10 DH. Failure of meeting these parameters will result in your fish having a lower life span. They are also susceptible to low temperatures as infections grow which can be fatal to the Neon Tetra fish. So make sure that the water for the fish is kept in has the right parameters for the fish to thrive. •	Make sure you feed your neon tetra either 2 to 3 times a day. Do not overfeed the fish as it may lead to the buildup of toxic waste in the aquarium. These fish are omnivorous when in the wild, they mainly ravage on live insects so make sure that you provide a variety of food to your fish. This may include; blood worms, wingless fruit flies and even algae. A proper diet will make the color have brighter colors, it will also make the fish move about more often as it has energy. Subscribe to our newsletter to receive Members Only Discounts! ** We quarantine all orders before shipping for at least 4-5 business days to ensure that you receive healthy discus! ** Orders will be delayed if weather conditions are not safe for shipping live fish.